For the second year in a row, an Alpinist story has been selected for the Best Mountaineering Article Award in the Banff Mountain Book Competition. Alison Criscitiello's story from Alpinist 59, titled "Contraindications," was chosen for the top prize in this category out of four finalists, which included James Edward Mills' story from Alpinist 60, "The Force of the Soul: Hugues Beauzile." 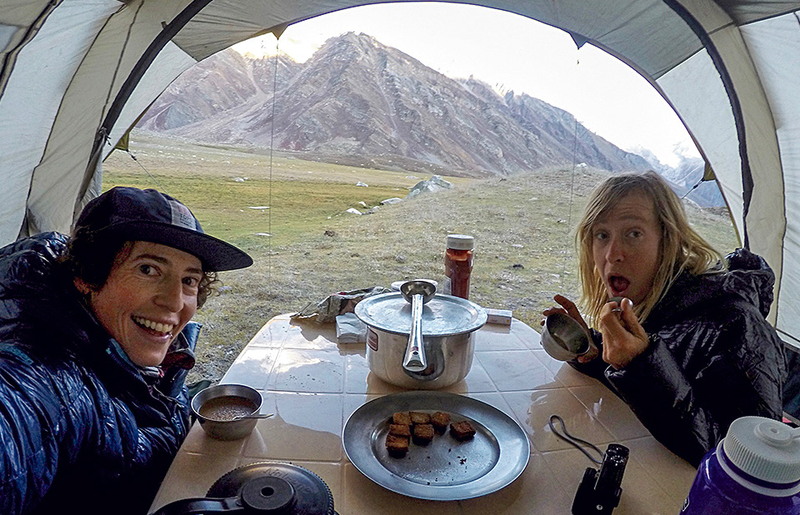 In "Contraindications," Criscitiello writes of several trips and memories leading up to the final days she spent with her close friend Anna Smith, who died at age 31 during an expedition in the Indian Himalaya. It is a bittersweet, heart-torn feeling. October 1, two years ago, is the first day I sat alone high in the Miyar, part of Anna with me, part of her gone; this time of year I think will forever hold that suspended space. To be recognized by such an incredible jury and festival, and to be judged among stunning writers, is beyond meaningful and gratifying. Concurrently, it's for a story that was almost impossible to write, that is hard to read and that I never thought would be mine. I wrote and edited this story quite isolated, in a cabin in Atlin, BC, during the season of darkness and ice fog. Everything around me reflected my internal landscape, and I didn't know then why I was writing it when I've never written a non-science piece before, but I certainly do now. 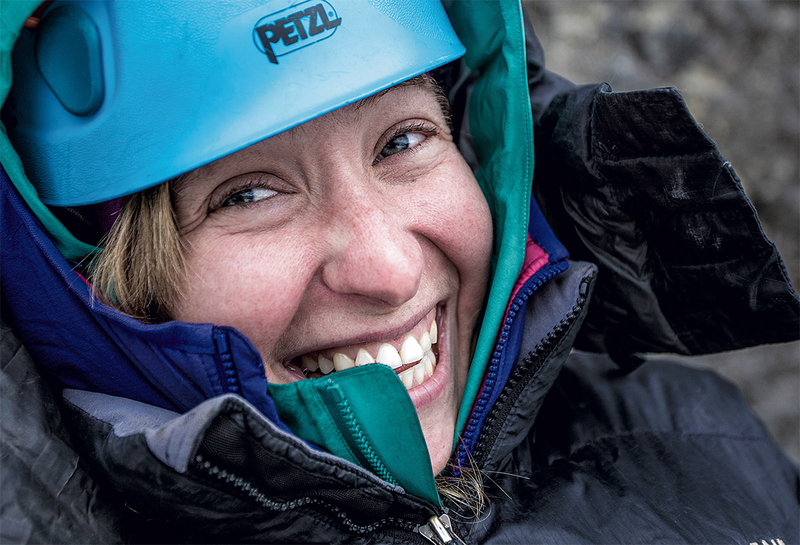 I am so glad and so proud to have gone through the process of writing this story and editing its many iterations with the help of the talented Alpinist Editor-in-Chief Katie Ives, because I've seen how important it has been to many [people] to read its details. Knowing it has resonated, added to someone's understanding or healing, is the prize. Last year, Nick Bullock's story "Threshold Shift" from Alpinist 57 received the award for Best Mountaineering Article. The Banff Mountain Book Competition has seven categories: Mountain Literature - Nonfiction, Mountain Fiction & Poetry, Guidebooks, Mountain Image, Mountain Environment & Natural History, Mountaineering Article and Adventure Travel. Each winner receives a $2,000 prize. A grand prize among all the categories will be announced November 1 and represents an additional $4,000 for the chosen author. There are several steps to the competition process. First, our long list of category finalists is selected by the programming team with consideration taken into account for reviews and feedback from a volunteer group of readers. There are approximately 30-40 readers each year who collectively read upwards of 150 books. Once the top books are determined in each category (usually top three to five) we give them to our jury for review and they determine the award winners. They also decide on a Mountaineering History award, which can be drawn from any category, [and] they...decide the grand prize. Any of the category winners and the Mountaineering History prizewinner is eligible for the grand prize. We will announce the grand prize on Thursday, November 1, at the festival here in Banff. This year's jury is Paula Wright (USA)*, Ian Welsted (UK/CAN) and Larry Stanier (CAN). Honouring High Places: The Mountain Life of Junko Tabei, by Junko Tabei and Helen Y. Rolfe, was chosen as the winner for Mountaineering History. A feature about that book by Katherine Indermaur can be found here on Alpinist.com. The winners of the other categories can be found on the Banff Centre's website here.